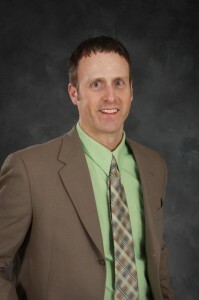 Dr. Matthew Jones is an Effingham native. He attended undergraduate studies at the University of Illinois in Champaign/Urbana. Next he went on to study Optometry at the Illinois College of Optometry where he recieved accolades such as Dean’s List and Beta Sigma Kappa Honors. He now enjoys University of Illinois Fighting Illini sports, playing guitar, boating, and camping with his wife Jennifer and newly born son Noah. Medical mission work has also always been one of Dr. Matthew’s main passions having been on multiple trips to Honduras. He also volunteers his time with the youth in the area through his church and OnEighty. “Dr. 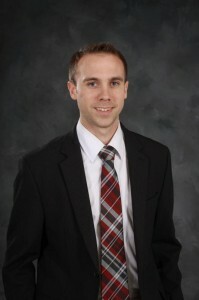 Matthew” joined our practice as a doctor in July of 2008 and has found a niche in vision therapy. M. Brian Sehy, O.D., F.A.A.O. 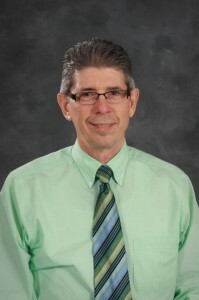 Dr. Sehy received a Bachelor of Science Degree, majoring in biology, in 1988 from the University of Illinois and his Doctor of Optometry Degree in 1992 from the Indiana School of Optometry. He was inducted as a Fellow of the American Academy of Optometry in 1994 and was the Illinois’ Young Optometrist of the Year in 2001. Dr. Sehy was a captain in the USAF from 1992–1996 and practiced Optometry at Lackland AFB, Wilford Hall Medical Center and was Chief of Optometry Services at Reid Health Services Center. He joined Drs. Sehy & Jones Optometrists, P.C., in 1996 in Effingham, IL, and has provided Comprehensive Low Vision Services to the Greater Effingham area since 1997. Dr. Sehy perviously served on the Cabinet of the Illinois Optometric Association (IOA) and was president of Eastern Illinois Optometric Society from 1998–2002. He was a contributing writer for the Low Vision Column for the IOA Quarterly Journal from 1999–2003 and was past president of the United Way of Effingham County and Effingham Sunrise Rotary Club. Dr. Sehy presently coaches 8-10 year olds in basketball and baseball. He participates in many sports, especially basketball, golf, snow skiing, weightlifting and running. Dr. Bob Jones graduated from Eastern Illinois University and received his Doctor of Optometry degree from the Illinois College of Optometry in 1977. “Dr. Bob” has shown himself to be the regional expert in specialty and difficult contact lens fitting options. In his free time, Dr. Bob enjoys working on home projects and spending time with his wife Jill, their five children, and three grandchildren. He has led multiple voluntary medical missions for more than 20 years. He is also very involved in his local church as an elder.